Here's the motto. Large pea shaped Leathertoy with leather stripping, wood, game shoe and bell. For leather crazy parrots and parakeets. 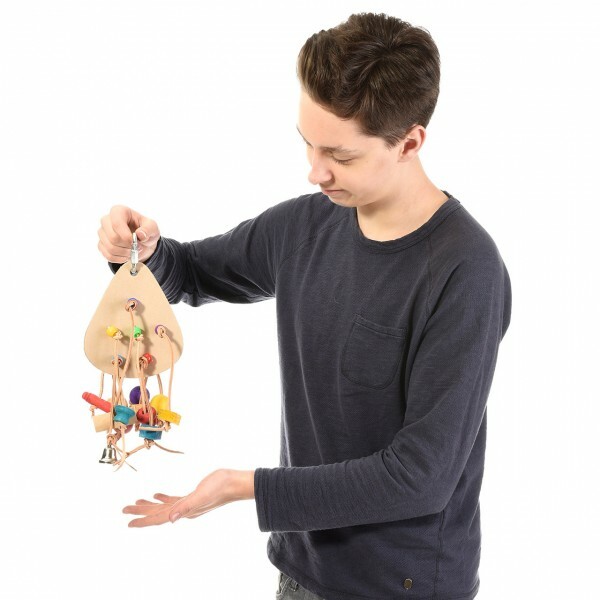 links "Bird Toy Leather Fun III"
customer reviews on "Bird Toy Leather Fun III"
Unser Papagei ist begeistert und hat sich sofort damit beschäftigt. Keine Angewöhnungszeit nötig.